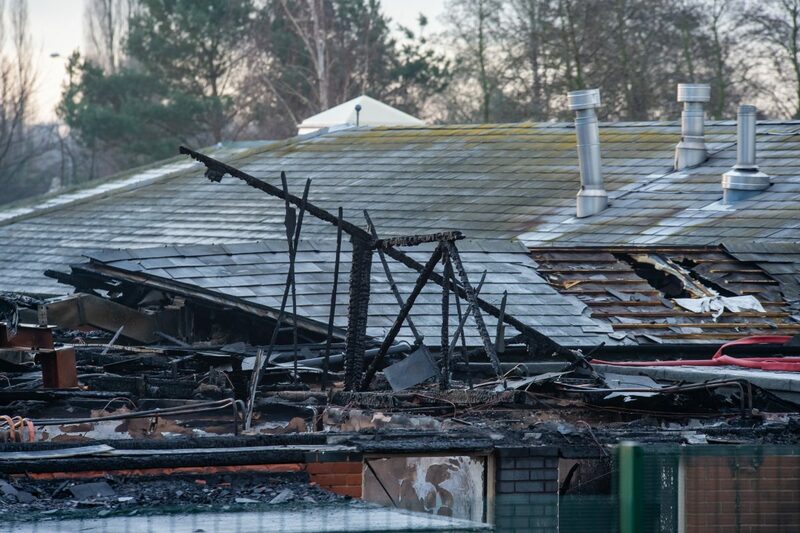 Shocking images show the scale of devastation caused by a huge fire which tore through a mental health hospital completely gutting the building. 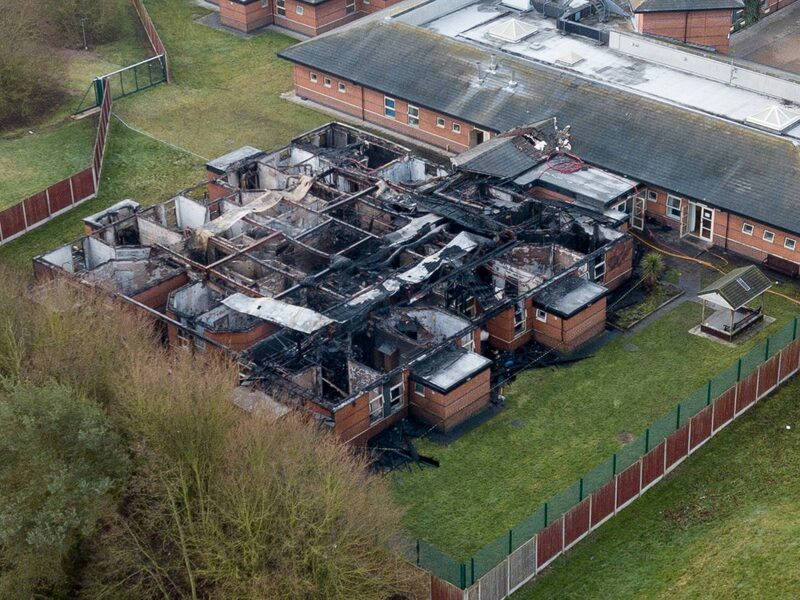 A 43-year-old man was arrested on suspicion of arson after flames engulfed the George Bryan Medical Centre in Tamworth, Staffs., on Monday night (11/2). A total of 11 patients and staff were evacuated to neighbouring medical centres as the inferno ripped through the hospital from 9.15pm onwards. One woman was seen running down the street screaming and and the fire service confirmed one mental patient had fled the scene. Dramatic aerial photographs taken today (Tue) show the blackened remains of the mangled hospital rooftop still smouldering with smoke. Drone footage from the evening also shows thick black plumes billowing through the night sky as firefighters spent hours battling the blaze. At its peak ten fire appliances tackled the inferno at the facility, which is based near the Sir Robert Peel Community Hospital. Incredibly, there were no reported casualties and police are working with colleagues from the fire service to establish the cause. 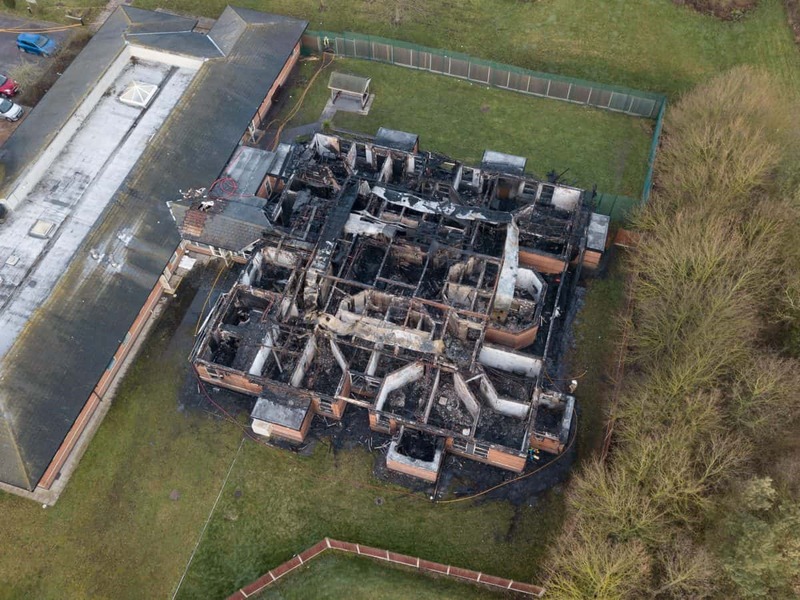 A Staffordshire Police spokesperson said: “A 43-year-old man, from Tamworth, has been detained on suspicion of arson in connection with a fire at the George Bryan Medical Centre in Tamworth last night. One witness said: “It was absolutely chaos around here last night, with flashing blue lights everywhere. “The fire has ravaged the building and looks to have destroyed a large part of the centre. University Hospitals of Derby and Burton NHS Foundation Trust confirmed on Twitter the Sir Robert Peel Community Hospital was open as normal today. They added: “Staffordshire Fire and Rescue Service attended a fire at George Bryan Medical Centre, a separate building operated by our partners @mpftnhs . 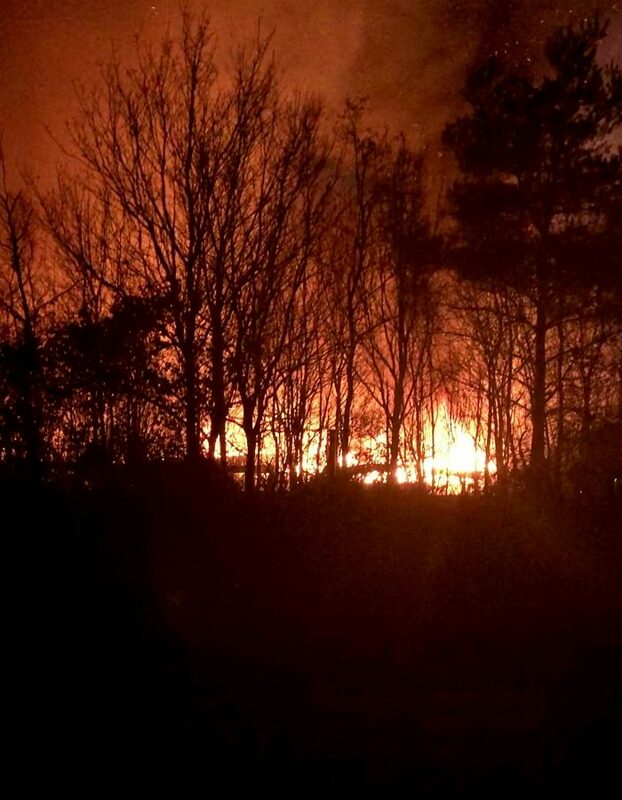 A Staffordshire fire service spokesman said there had been “quite a lot of the building involved”. He added: “We’re trying to sacrifice part of the building and let that burn to prevent it from spreading to the rest of the hospital.